It wasn't just a simple case of mistaken identity but bad police work that led to Kevin Gray's arrest. 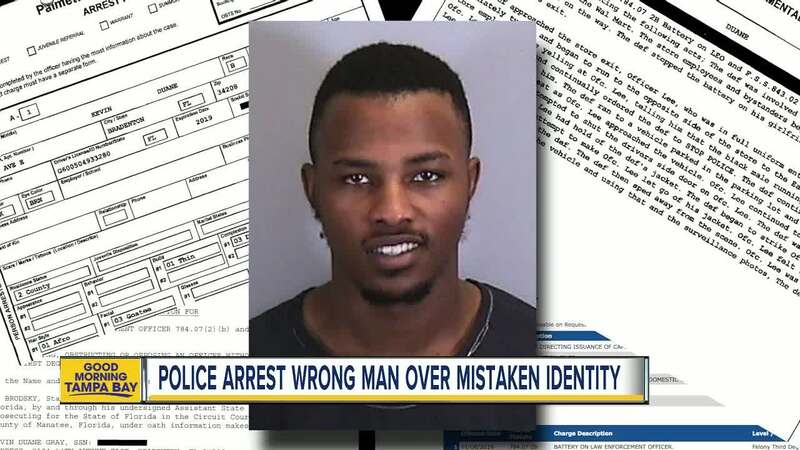 PALMETTO, Fla. — Kevin Gray told WFTS it wasn't just a simple case of mistaken identity. Gray said the Palmetto Police Department's lousy police work led to his wrongful arrest. "They just need better detectives, better officers (that are) going to actually investigate, that was a mistake they could’ve really avoided," Gray said. Gray was arrested for a crime he never even knew happened in a state where the crime wasn't committed. On September 14, Gray said his brother was driving him to Atlanta to celebrate his birthday. Somewhere in Tift County he said his brother was pulled over for speeding. The deputy asked Gray for his license and the deputy came back telling him there was a warrant for his arrest out of Florida for battery on a law enforcement officer. Deputies took him to jail and called authorities in Florida to get him. What was supposed to be a weekend of fun turned into 10 terrifying days behind bars. "I just started crying," Gray said. "I was explaining 'I take care of my daughter by myself. Where is my daughter going to go?' "
Gray's daughter is just two years old. For 10 days family members said she cried for her father. All of the issues Gray is now wrongly facing started back in January. Police responded to a Walmart in Palmetto, Florida for a call that a couple was inside the store fighting. Bystanders were calling 911 to report the domestic abuse. The man reportedly hit the female. Officials said that the female domestic violence victim was uncooperative. The probable cause affidavit said when officers arrived the man took off. The report said as officers tried to arrest him, he jumped in his car to drive off. An officer got a "hold of the def's jacket... the def began to strike Ofc. Lee's arm with a closed fist, in an attempt to make Ofc. Lee let go of his jacket." The officer said he was able to "obtain a license plate from the vehicle and using that and the surveillance photos, the def was positively identified." "I haven’t had a license plate since 2014," Gray said. For several months Palmetto Police Chief Scott Tyler said detectives worked leads. At some point, Gray was identified as the suspect from the Walmart attack by the officer that he supposedly hit and others. Gray said police never came looking for him. He works at an assisted living facility and said he was never questioned by detectives about the case. It wasn't until he traveled through Georgia, nearly nine months later, that he said he even encountered a law enforcement officer. No one believed him, and he said he was forced to pledge allegiance to a gang in jail or face the consequences. On Sunday, detectives arrived in Georgia to bring Gray back to Florida to face charges. It wasn't until Tuesday after meeting with detectives at the police department that they realized they had the wrong guy. "On the picture, I knew it wasn’t me," Gray said he told police on Tuesday. "And, I was like 'it’s not me there' and all the police was looking and said 'you are right it’s not you.' "
Gray said he is now still fighting to get his job back and clear his name. The Florida State Attorney is sending a letter to the court stating "that Kevin Gray was unintentionally misidentified as the perpetrator of a crime which, the evidence has since demonstrated, he did not commit. All charges against him in this matter have now been dropped." "It just destroyed everything," Gray said. "I lost so much, job wages, I couldn’t even go in today, I probably can’t pay my bills for this month. They (could've done) way more than just taken a Walmart picture. 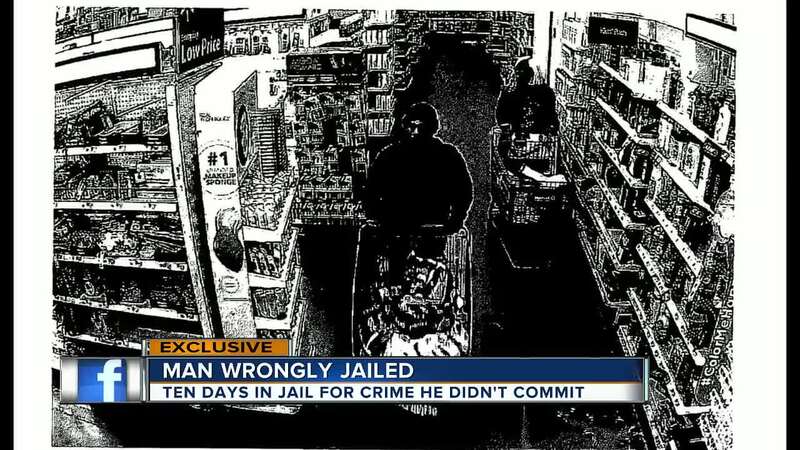 But you couldn’t even see the Walmart picture, nobody saw the color picture from the police, in jail from the judge. The only way I saw a color picture is because I went down today. That’s how I got the color picture and was able to see who it was." The chief is now looking into what went wrong to misidentify Gray.